Application: It is widely used as a supporting instrument to adjust height of objects such as alcohol burner and so on in chemistry, physics and other scientific objects. Or in home daily usage. 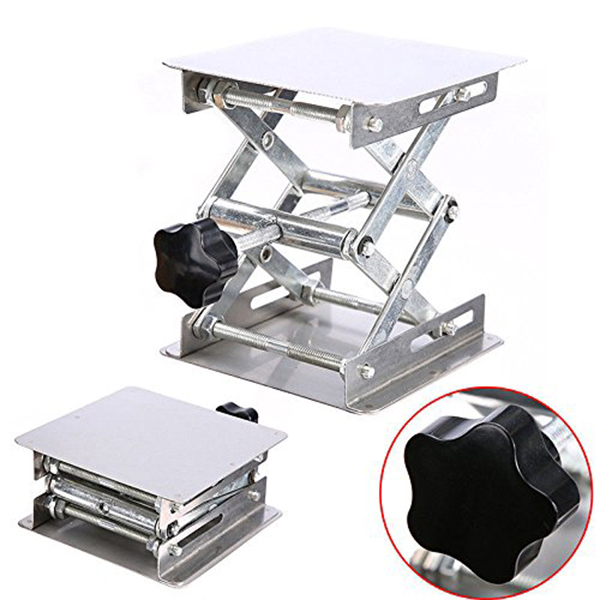 How to use: Rotating the hand wheel to lift the front panel that you can adjust the desired height.Adjustment knobs provide smooth and accurate height adjustment, easy to operate. Maintenance: It should be kept clean and stored in a cool, dry, non-corrosive gases after use.